Our clients love this style for its clean flat front. Since the zipper is on the side, this pants style is perfect to be worn with more fitted waist jackets or fitted tops. 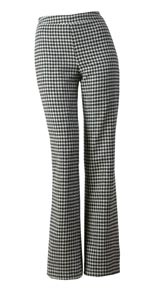 Made in Bluesuits signature Tropical wool stretch, these pants are extremely comfortable and will not wrinkle.